Happy 2014! After a bit of a break over the holidays from Vanalogue, I’m ready to get back into the swing of things. I am looking forward to celebrating all things analogue in 2014. 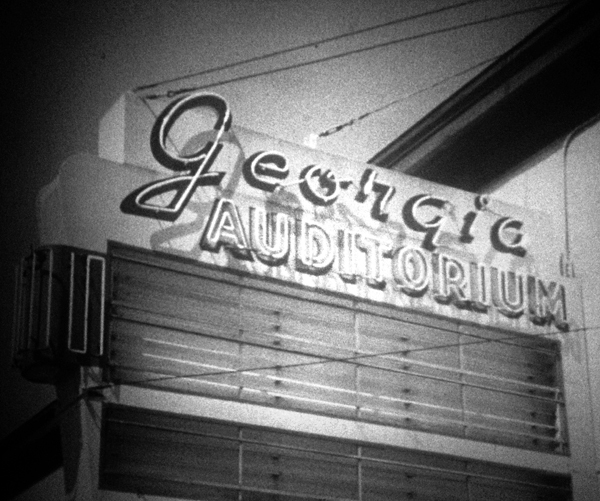 The first post of 2014, features a little known performance venue from Vancouver’s recent past – The Georgia Auditorium. Neon sign from the Georgia Auditorium. Still taken from CBUT news footage (1959). Photo: C. Hagemoen.